Notifications, which are messages delivered to a mobile device's home screen, are a great way to bring latent users back into your app. But how do you communicate with users once they're back inside your app? How do you ensure they're interacting with your app in the intended way instead of fumbling between screens without taking meaningful action? How do you guide them through your app experience? To help you solve those questions, today we're launching Firebase In-App Messaging to help you guide app users who are actively using your app by sending them targeted and contextual messages. Now, you'll be able to communicate with your most valuable users - the ones already interacting with your app - and deepen engagement with them by surfacing relevant information, offers, and tips as they use your app in real-time! The main purpose of messages sent with In-App Messaging is to "nudge" active users toward key in-app actions (like subscribing, watching a video, completing a level, or buying an item). In-app messages are a guiding light within the app designed to spur conversions, increase session time, and encourage app exploration. In-App Messaging is an essential complement to notifications sent via Firebase Cloud Messaging. In-app messages appear inside your app, so they should feel like a natural part of your mobile experience. With In-App Messaging, you have the flexibility and control to set up in-app messages in a variety of formats (banners, modal, and image) and customize their look and feel. You can change the color scheme to match your brand, and add visual elements like images. You can also tailor the call-to-action button to match your app's user journeys. And since messages trigger based on Analytics events, if you instrument meaningful events in your app, it's easy to design and test new in-app messages without shipping a new version of your app. In-app messages are most effective when they are well-targeted and well-timed. 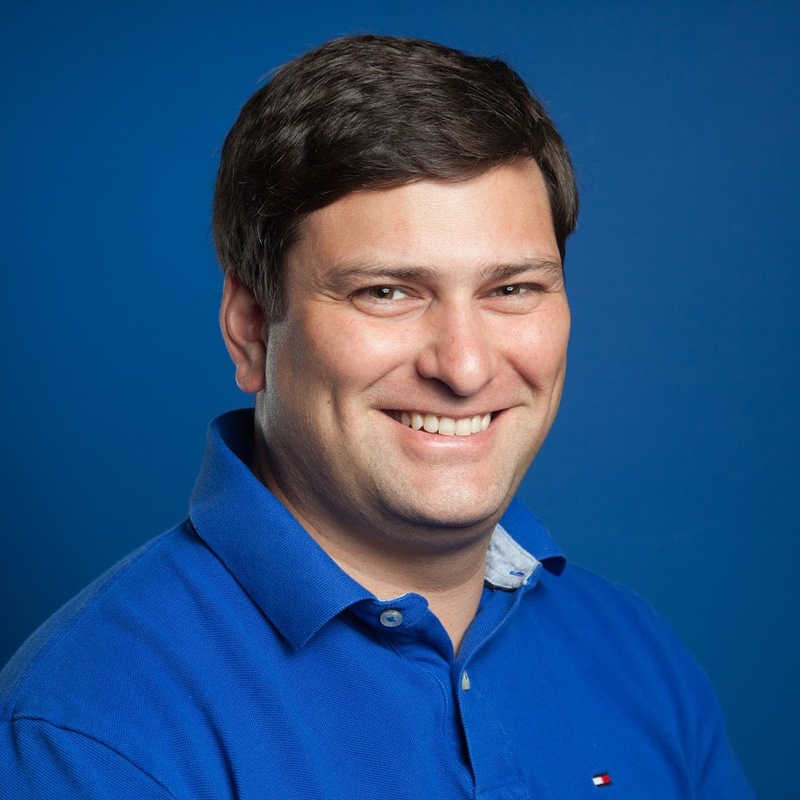 In-App Messaging works with Google Analytics for Firebase and Firebase Predictions so you can trigger messages based on user profile data (language, app version, country), current behavior (purchases, screens visited, buttons clicked), and their predicted future behavior (likelihood of spending, risk of churning). For example, with In-App Messaging and Google Analytics for Firebase, you can send an in-app message to all players using an older version of your game offering a reward if they upgrade their app. Or, you can send an in-app message containing a tip on how to beat a game level when a user fails to complete it. With In-App Messaging + Firebase Predictions, you can send an in-app message containing a coupon code to users who are unlikely to spend money in your app to entice them to make a purchase. 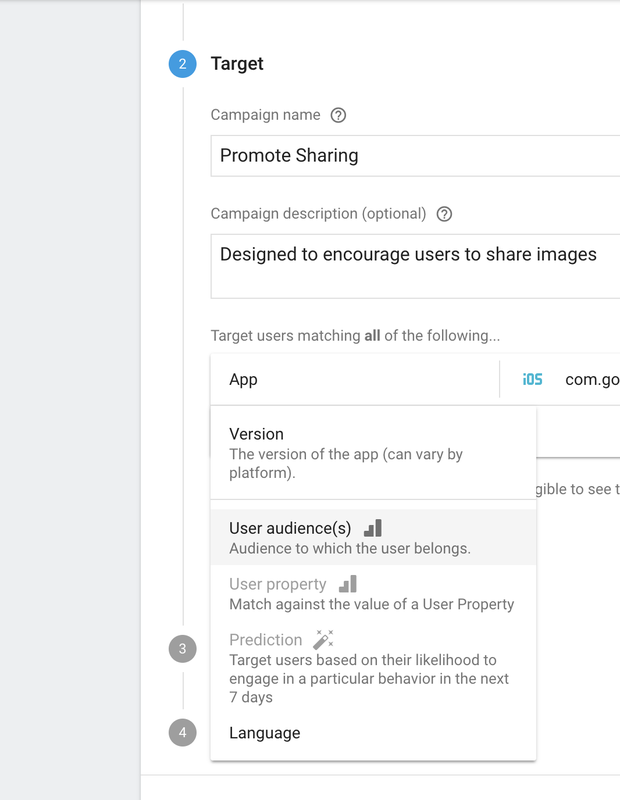 In-App Messaging also shows you how each in-app messaging campaign is performing. Specifically, it tracks impressions, clicks, and conversions by date so you can understand the success of the campaign and make an informed decision whether or not to re-run it, or alter it, based on the results. A lot of developers are familiar with notifications, but unsure of when to use in-app messaging. To get the wheels in your head turning, here are some examples of the types of engagement campaigns you could run with In-App Messaging. Reward-based. Congratulate users for hitting a milestone (like achieving a fitness goal) or completing a major in-app action (like beating a game level) with a reward, special offer, or proverbial high five. Incentive-based. Encourage users to complete key in-app actions by giving them an incentive when they enter the conversion funnel. For instance, you could give users a discount code or free shipping when they add an item to their shopping cart. New feature. Did you release a new feature recently? 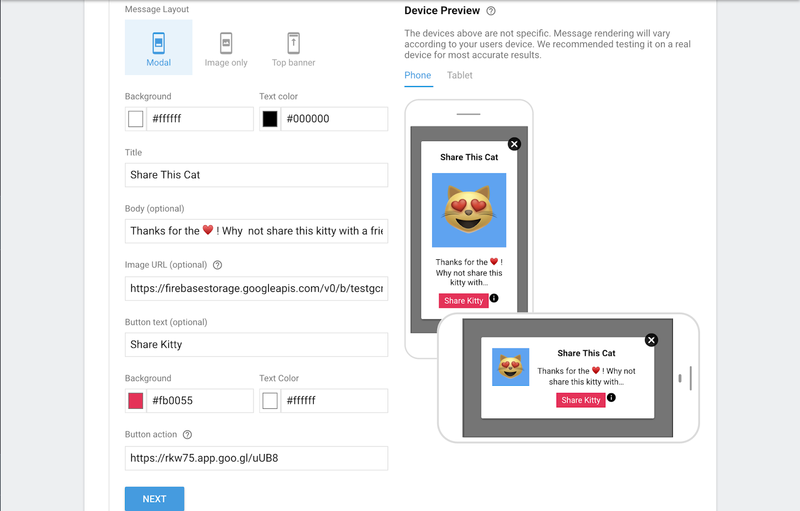 You can use In-App Messaging to highlight it and show users how to use it. New content. Did you recently add new content to your app? You can also use In-App Messaging to guide people to listen, read, or watch it. New share. If your app has social media integrations, consider prompting users to share an article they favorited, a high score, or item they bought with an in-app message. App tip. As people interact with your app, show them how to get the most out of it with pro tips. For example, if a player has failed to pass a certain game level, you can use In-App Messaging to surface clues on how to beat it next time. These scenarios are just the tip of the iceberg! Whether you want to set up a recurring campaign or send a one-time alert, In-App Messaging supports a variety of use cases. We can't wait to see what types of in-app messaging campaigns you run!